Thrush is often associated with wet and muddy conditions. When conditions are wet and muddy it can be difficult to properly clean out debris around the frog on a regular basis. The rapidly accumulating debris blocks oxygen to the hoof. Thrush results from the invasion of anaerobic microbes that thrive in environments absent of oxygen. If the hoof is not routinely picked and cleaned, oxygen is sealed away from the tissues around the frog thereby providing the anaerobic bacteria with the perfect environment to thrive. Thrush can be mild or can progress quickly to a severe case. In the more severe cases, the bacteria have penetrated and infected the sensitive tissues of the hoof. The horse often becomes foot-sore and lame. Mild cases of Thrush can usually be treated with proper management and regular applications of Life Data® Hoof Clay®. The more severe cases may require additional assistance from a farrier or veterinarian. In treating Thrush we need to be mindful of the products we choose. As mentioned in a previous blog many horse owners will turn to home remedies, but there are several of these you should avoid. Products containing formalin (formaldehyde), copper sulfate, pine tar, iodine crystals, and solvents such as acetone and turpentine are caustic and can chemically burn and damage healthy hoof tissue. If the horse has a severe case of Thrush where sensitive tissue has been affected, the caustic chemicals may cause discomfort. The horse often learns the treatment is painful and may refuse to allow lifting of the foot for treatment. Petroleum based and greasy products which block oxygen should also be avoided. While treating and preventing Thrush, we recommend Life Data® Hoof Clay® and a regular routine of trimming, cleaning, and maintaining hooves. So, why do we recommend Life Data® Hoof Clay® in the treatment of Thrush? Life Data® Hoof Clay® is a mild and non-caustic product. Life Data® Hoof Clay® does not contain any chemicals that will burn or harm sensitive or live tissue. In fact, Life Data® Hoof Clay® is so mild that the horse owner can apply it with their bare hands. 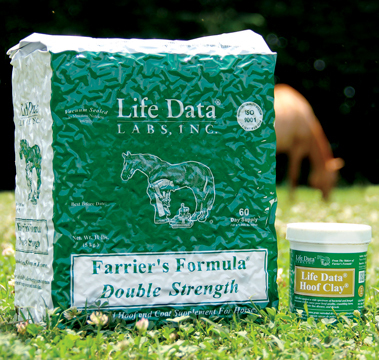 Life Data® Hoof Clay® is easy to use and easy to apply. As mentioned above, due to its non-caustic nature, the Hoof Clay® can be applied with your bare hands. No special tools are required. The texture of the product is pliable, making the product easy to remove from the container for a smooth and even application. Regardless if it is the sole of the hoof or the hoof wall, Life Data® Hoof Clay® is designed to stay in place. This is particularly important in the treatment and prevention of Thrush, White Line Disease, and other hoof related issues. By sticking and staying in place, the product can deliver antimicrobials to the problem areas and protect from outside foreign material. Due to its sticky nature, Life Data® Hoof Clay® will stay in place for several days. Even after three or four days, the residual Hoof Clay® will remain effective. Life Data® Hoof Clay® will derive the best results and last longest when used on a hoof that has been cleaned and thoroughly dried prior to application. It is also recommended that the horse is kept in a dry area for thirty minutes before returning to a wet pasture. Farrier’s Finish® can also be applied on top of the Life Data® Hoof Clay® to help repel water and assist in protecting the hoof. Many products that boast Thrush treatment and prevention also come with a higher price tag. Life Data® Hoof Clay® is economical. Especially when looking at the price compared to how long it lasts. Even the smallest 10 oz. jar can last a horse owner several weeks depending on how often and how much of the product is used. Life Data® Hoof Clay® contains tea tree oil, tamed iodine, and yucca. These ingredients are highly effective in the defense and control of bacteria; including the bacteria that lead to Thrush. Life Data® Hoof Clay® can be safely used in combination with Farrier’s Finish® and Farrier’s Formula®. Using Life Data® Hoof Clay® and Farrier’s Finish® together is a great combination in protecting the outside hoof from environmental factors. Feeding Farrier’s Formula® helps improve the internal health and quality of the hoof. By using all three together, you are essentially providing the necessary nutrition and protection needed to develop the best possible hoof for your horse. It is always important to consult with your farrier and veterinarian before treating any kind of hoof related issue. If you have any questions regarding Thrush or Life Data® products, feel free to contact us at 1-800-624-1873. You may also visit our website to learn more about Life Data® Hoof Clay®. The foot must be understood before effective treatments will be adopted. Once there is a more thorough understanding of the anatomy of the foot and the sequence of events in the disease process, effective treatments for laminitis will be adopted. Ineffective fads or unproven treatments will then be discarded because of inconsistent results that also can be dangerous to the health of the horse. For instance, giving a horse phenylbutazone (Bute) so that it continues to stand and walk on the injured laminar and solar tissues is contraindicated (not advisable). Also, vasodilators will not open crushed blood vessels. Vasodilators will cause the vascular muscle walls to relax and the vessels will actually leak more fluid into the interstitial space to further crush them. Giving a horse anti-histamine and vasoconstrictor drugs is more logical. Another example: Standing a horse in sand, on foam blocks or putting on a “sole pack” to support the bone is not advisable. If you understand the blood supply of the foot, you will readily see that the sensitive sole will be further damaged by having the horse stand with pressure on the sole. However, transferring weight from the damaged sensitive laminae to the frog using a heart bar shoe is recommended, as there is much less circulation in the tissues under the frog than in those under the sole. A farrier with knowledge of laminitis and the anatomy of the foot understands how to make and fit a heart bar shoe. A veterinarian with knowledge of anatomy and circulation of the foot will understand not to give pain relievers if this encourages the laminitic horse to remain standing and produce further damage to the internal structures of the foot by compromising circulation to the coffin bone (The Principles of Horseshoeing – P3). When this happens, you may swap a few hours of pain relief for a lifetime of lameness and pain. This is a difficult decision because of the veterinarian’s emotional and professional responsibility to relieve pain. 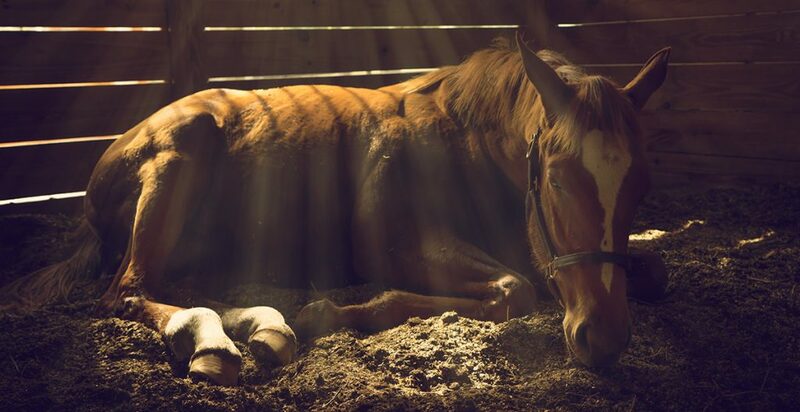 However, the most effective pain relief is for the horse to lie down in deep bedding. This not only avoids the side effects of pain relief medications, but also facilitates the application of cold packs. Trust yourself to learn and understand what is best for your unique horse. You have the responsibility to choose the best possible care and make crucial informed decisions for your horse(s) — use it wisely. The informed horse owner can help make decisions with trusted professionals to provide the horse with the greatest chance of getting well. To download the eBook, visit our website and complete the required form. Once submitted, you will receive an e-mail containing downloadable links to the e-book. Please check your spam and junk folders if you do not receive the e-mail. Contact us at 1-800-624-1873 if you have any questions. Hoof Abscesses can seem to appear overnight. Yesterday your horse showed no sign of pain, and today he can barely put weight on his foot. If you have never had a horse develop a hoof abscess, count yourself lucky. They can be extremely painful, often leading to severe lameness. 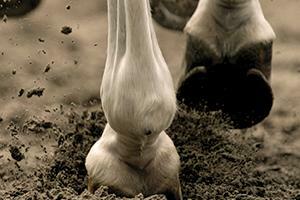 Some horses suffer from recurring hoof abscesses that develop frequently. Although hoof abscesses can be attributed to either the horse’s environment or the health of the hooves, they are often the consequence of a combination of both factors. The environment is one of the first things that should be looked at if your horse is suffering from regular hoof abscesses. Bacteria can enter the hoof through a sole puncture wound or bruise, a hoof wall crack, an old nail hole, a white line separation, or from nailing a shoe. A sole abscess is usually the result of a puncture wound from a nail or other foreign object. Bruising of the sole can also predispose the hoof to a sole abscess. Sole abscesses are common and usually break out at the sole surface. Occasionally the abscess will track under the surface of the sole and break out in another area of the sole. Hoof wall abscesses often develop from foreign material, such as a small pebble, that enters at the white line area and migrates upward through the laminae. Small stones, sand, or gravel can also penetrate through hoof defects such as hoof cracks, crumbling hoof wall, or old nail holes and carry infection. The resulting abscess is often referred to as “gravels” or “gravelling”. The infection created by the migrating pebble will often break out at the coronary band, and with luck the abscess fluid will push out the foreign object. Prior to opening and/or draining of a hoof abscess, the associated inflammation and fluid is trapped within the rigid confines of the hoof capsule. Intense pain occurs from the building pressure on the sensitive tissues. The pain often leads to reluctance or refusal to bear weight on the affected foot. The affected foot will often feel warmer than usual. The incidence of hoof abscesses increase when the environment is wet and muddy. Wet conditions and unclean stalls are breeding grounds for bacteria that can create hoof abscesses. Also, the excess moisture will soften the hoof wall and sole making it easier for the bacteria and/or foreign material to penetrate into the hoof capsule. Look at the environment surrounding your horse. Does your horse spend a lot of time in wet and muddy conditions? Are your regularly cleaning stalls? Does your horse walk on rocky pastures or gravel roads? Reducing your horse’s exposure to these kinds of environments can help reduce the chances of a hoof abscess developing. There are also preventive measures you can take to help protect against these environmental conditions. Regularly clean and maintain your horse’s hooves daily. Remove any foreign material from the sole and around the frog. Feed Farrier’s Formula® on a long-term basis to provide nutrients important for the horse’s immune system and to build a denser hoof wall and sole, increasing the hoof’s resistance to infection. Apply Life Data® Hoof Clay®, a non-caustic antimicrobial packing, to fill in hoof wall cracks, wall defects and old nail holes. If barefoot, apply the clay directly to the white line to block foreign material and bacteria from penetrating. Do not use cotton balls to pack hoof defects or open abscess tracts. Cotton balls leave fibers when removed. These left-over fibers can lead to infection. Do not pack or wrap the hoof with any material that will block oxygen. Apply Farrier’s Finish®, a topical hoof disinfectant and conditioner, to kill bacteria and regulate moisture balance. In wet conditions, add two tablespoons Epson Salt per 16 oz. bottle of Farrier’s Finish® and apply to the hoof wall and sole surface. The product will not only disinfect the hoof capsule, but will also help harden the softened hoof wall and sole to increase the hoof capsule’s resistance to microbial invasion. Ensure the hoof topical is non-caustic. Using caustic materials such as turpentine or formaldehyde can block oxygen and damage healthy tissue. Maintain a regular farrier schedule and ensure hooves are being trimmed properly. Too much time between trimmings will allow the toe to grow out excessively thereby stretching or separating the white line. A separated white line predisposes the horse to gravels. Maintain a proper body weight. The extra weight of an obese horse can place stress on the hooves, stretching the white line and “pancaking” the hoof wall. This weakens the hoof structurally and makes it vulnerable to microbes and foreign material. If your horse is overweight and suffers from recurring hoof abscesses, getting the weight under control could be the first step in the right direction. There are many factors that affect hoof quality. Genetics, the environment, and nutrition all play major roles. We have already discussed methods you can utilize to protect the hoof from environmental factors that cause hoof abscesses; however proper nutrition also plays an important role in helping prevent hoof abscesses. A healthy hoof has a denser hoof wall and sole, and is more resilient to microbial invasion and infection. Also the healthier hoof will have less hoof cracks, splits, and other hoof defects for foreign material to enter through. Feeding Farrier’s Formula® can improve hoof health and increase the resilience to these invasions both structurally and by improving immunity. Farrier’s Formula® contains ingredients such as zinc and vitamin C that support the horse’s immune system. Consult your farrier and/or veterinarian on treatment if you suspect an abscess. 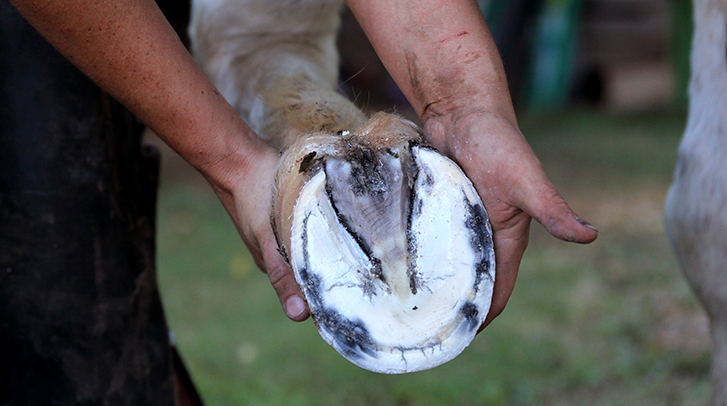 Your farrier or veterinarian will work to draw out the hoof abscess with a poultice or to open and drain the abscess. In the case of a gravel, if any foreign material remains within the hoof wall either the abscess will not resolve or it reoccurs on a regular basis. Foreign objects trapped under the hoof wall will usually require a procedure to open up the hoof wall directly over the gravel. It is also important to protect and disinfect the exit wound. Once the drainage has stopped, packing with Life Data® Hoof Clay® and regularly applying Farrier’s Finish® will help protect the open wound and keep out any unwanted material. If you have any questions on utilizing Life Data® products to help treat or prevent hoof abscesses, feel free to contact us at 1-800-624-1873 or by e-mailing us at cservice@lifedatalabs.com. There is one important fact to remember when it comes to growing a healthy hoof, it takes patience. 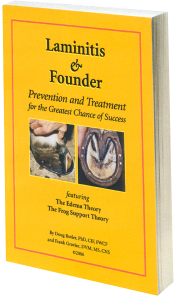 Hoof health is a long-term commitment and takes time to develop. It can take up to a year for the average horse to completely regrow a hoof. Depending on the age of the horse and the severity of the hoof’s condition, it could take even longer. There are other factors that can affect the health of the hoof and, although there are a few factors we cannot change such as genetics, there are factors we can address. If we are willing to put in the time and effort, we can develop the best hoof genetics will allow. Nutrition is one of the biggest factors that will affect the health of your horse’s hooves, but this will take time and patience. Changing your horse’s diet will not fix the issue in just a few days. Adding a hoof supplement, such as Farrier’s Formula® Double Strength, to your horse’s diet is one of the easiest ways to provide your horse with the nutrition it needs to grow a healthy hoof. By providing the proper nutrients, you are building the hoof from the inside out. This process can make a world of difference for your horse’s hooves by improving the hoof internally and promoting hoof wall thickness and strength. But this isn’t a short-term fix. We are not preparing for a race, we are preparing for a marathon. Adding Farrier’s Formula® to your horse’s diet is a long-term investment. For many horses it will be a life-long investment. As we said above, you are providing for the hoof from the inside out, which means you may not visually see results right away. This is where your patience comes into place. If you are not regularly feeding Farrier’s Formula® or are stopping and switching supplements every few weeks you will not receive the same results. Be patient, give the nutrients time to build up in the horse’s system and work from within the horse. When regularly feeding Farrier’s Formula®, it could take up to eight weeks before you begin seeing new hoof growth around the coronary band. In fact, many of our customers have even reported seeing a healthier hair coat before ever seeing new hoof growth. 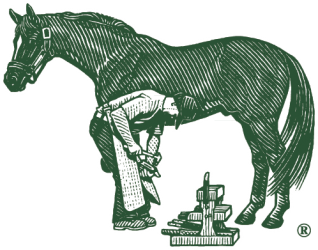 Once Farrier’s Formula® has had time to build up and provide the important nutrients your horse needs, it will then promote better quality and faster growing hooves. Nutrition is only one aspect of hoof growth and quality, and we cannot discuss nutrition without also addressing the environment. Where nutrition plays a key role on the inside health of the hoof, the environment plays a role on the outside. If you’re not protecting the hoof from the outside environment, you are not protecting the investment you’ve made internally. Even with proper nutrition and supplementation, the environment can wreak havoc on your horse’s hooves and destroy any new growth your horse has made. Regular farrier work, clean stalls and proper nutrition can help prevent many of these environmental issues from developing, but they do not always stop it. Regularly applying Farrier’s Finish® Hoof Disinfectant and Conditioner to the outside of the hooves will protect the investment you have made with Farrier’s Formula®. Farrier’s Finish® will protect new growth from the environment by helping control microbial invasions, regulating moisture in the hoof capsule, and addressing other environmental problems. For example, Farrier’s Finish® contains yucca extract, which is beneficial to horses that remain stalled or have been exposed to neglected stalls. The yucca in Farrier’s Finish® “binds” with ammonia in the stall to reduce irritation to the hoof capsule. Farrier’s Finish® not only protects and disinfects the surface of the hoof, but it also penetrates deep within the hoof wall to combat microbes at the foundation of the invasion. By applying Farrier’s Finish® you are giving the hoof the chance to grow and flourish. Click Here to Learn More About Farrier’s Finish® Farrier’s Formula® and Farrier’s Finish® are the perfect team to establish better quality hooves. By providing proper nutrition and controlling the environment you are promoting the best quality hoof genetics will allow. But you must be patient and consistent to witness the results. If you truly want to see the best hoof underneath your horse, you must be willing to put in the time, resources, effort, and patience that is required. If you have any questions, feel free to contact us at cservice@lifedatalabs.com or call us at 1-800-624-1873. We also recommend talking with your farrier and veterinarian about any hoof related issues your horse may be having.